We all know the dangers of using electrical equipment in a bathroom, even with something like a mobile phone charger. Tip : Shaving sockets are for shavers, nothing else…. One fire crew from Torquay and one from Paignton were sent to the property in Edmonds Walk after a neighbour called the fire service to report an alarm sounding and a smell of burning. 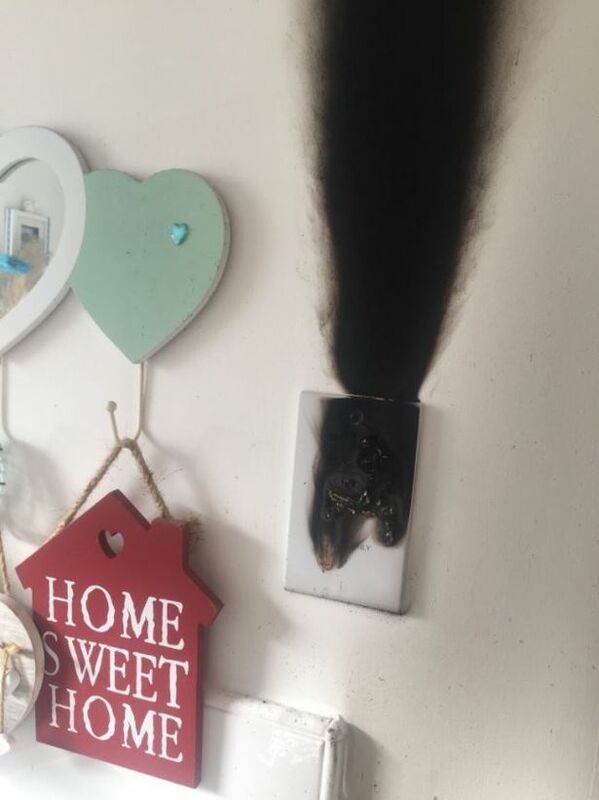 On arrival, the crews found a small fire involving an electrical charger in a bathroom. They used two breathing apparatus, a thermal imaging camera and small tools to deal with the incident. This entry was posted in Electrical Safety and tagged Electrical Safety, Shaving sockets on 7th November 2017 by admin.